Are you ready for a new, different kind of car buying experience that is free of the usual frustration and confusion? If so, there is only one answer for you and your next vehicle purchase: Carl Black Orlando. We make it easy to find your next Chevrolet in Orlando. Why? Because we value your complete satisfaction every step of the way when buying a new vehicle. If we can’t make you happy when everything is said and done, we aren’t doing our job. 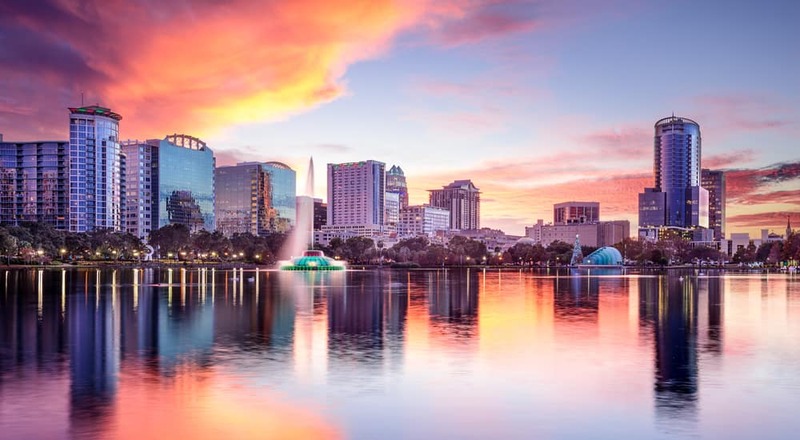 Carl Black serves a whole range of cities in the state of Florida, Orlando being just one of them. You can find us in a variety of places such as Winter Park, Winter Springs, Longwood, Orange City, and much, much more. That means you don’t have to travel very far to get the Carl Black experience. The combination of a great new and used inventory, skilled salespeople and service staff, and a focus on your overall satisfaction means you are in for a treat when you come to one of our dealerships. Whether you need a new Chevrolet, Buick, or GMC, we are here to help. If you don’t need a new vehicle and simply want some service done or need to buy replacement parts or accessories, we are there to help. In short, we are a full-service single-stop dealership that is here to cater to all of your automotive needs. New customers and returning alike are welcome at our dealership. Here are just a few things you can expect when you shop at Carl Black Orlando. We are a fairly large presence in the state of Florida regarding dealerships. Our inventory is full of over 800 individual new and used vehicles for you to choose from. With so many different locations, including Orlando, it may seem like we are one of those massive, mega-corporation dealerships that value the sale above customer satisfaction. Rest assured, we are far from anything like that. In fact, we are one of the largest family-owned dealerships in the US. Starting from humble origins, we have spent years growing our brand and presence to the point where we can offer large-scale service to a number of people while still retaining that unique small business feel. The reason why this is important is you will experience our unique approach in person anytime you come to one of our dealerships. The overall approach we take is to focus on providing you anything and everything you need before you leave our dealership. Whether that’s a new vehicle, a used vehicle, or some kind of service, we go above and beyond what most other dealerships can provide. With us, the sale is secondary. The most important thing we want to achieve is your complete satisfaction. Beyond being one of the largest Chevrolet dealerships in Orlando, we offer several different GM brands for you to check out. Buick and GMC are two other great automotive brands to check out for a complete idea of the types of vehicles we have in our inventory. New cars and trucks, in particular, are our specialty. You can find a great number of current model year options to check out and test drive if you’re in the market for something new. If you want to save some money, a used vehicle is another great way to go. A good portion of our existing automotive inventory contains many used cars, trucks, and SUVs from Chevrolet and other brands. Every single one goes through our dedicated inspection and maintenance process so we can make sure we are showing and selling vehicles worthy of our customers. We won’t waste your time with anything that has the hint of being a potential lemon. In total, we have over 800 different options to consider in our inventory. Since this can be overwhelming, the best way to check out the inventory is either in person or online. If you visit our website, you can use the extensive array of search functions and filters we have to narrow down the list to great options worthy of your consideration. If you come to our dealership, you will immediately be connected with one of our sales staff who can help you find the models and trims you should check out. It doesn’t matter how great the car is that we sell, if we don’t provide you a level of customer service you aren’t even expecting, we haven’t done our job right. We don’t stop with just good cars and decent service. Whether you come in person or check us out online, we offer a number of additional services to help you get through the car buying process with little to no challenges in your way. For example, come check out our expert financing center to see what kinds of payment options you have available for your new purchase. Typically, qualifying for a loan is a nightmarish experience. You have to go through a bank or credit union, submit a number of different applications, sift through legal jargon, all just to have the chance of being given a loan. At our financing center, Carl Black takes a different approach. You will sit down with one of our knowledgeable, experienced financing staff who will give you all of the options in a clear and concise manner. They will take some basic information about your financial history, look up your credit score, and put an application together that we can send out to all of our loan providers at once. You will only have to fill out a few different papers in one sitting to start getting a wide variety of competitive offers for your next loan. We also take into account your preferences, including the desired loan amount and term details. Want to make it even easier? Go online for our no-obligation preapproval process. Fill in a few boxes, instantly view your credit score, and get a decision right then and there. If you don’t get approved, you can still come in or give us a call to work with one of our financing staff to explore your full list of financing options. At Carl Black, we make it easy to buy your next Chevrolet vehicle in Orlando Florida. Since we provide a full-service experience from start to finish, you can take every step of that journey with us while having constant help, guidance, and expertise at your figure tips. What’s the best way to start? Any way you would like to get started works for us! We are here any time you are ready or need to get searching for your next vehicle. We also have mechanics and sales people ready to help with repairs, maintenance, and all of your accessory needs. Get in touch with us today. Call us, email us, or come down to one of our dealerships in person to see what we have in stock and ready for a test drive. Whether you’re looking for a quick purchase or need to take your time and are considering all of your options, we are here for you every step of the way.